10 tracks focusing on the melancholic and reflective - featuring Piano, cello, acoustic guitar and flute played and recorded organically & beautifully by composers Chris Doney and Beth Perry. Each title has mixes with and without each instrument. A touching and moving duet for cello and piano. Between spacious pauses, a mournful cello line sits upon a descending piano motif creating emotional depth for dramas, documentaries and films. 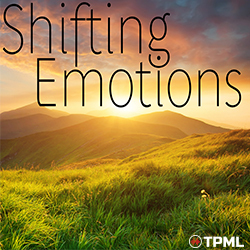 Guitar fingerpicking supports melodic lines and harmonies provided by cello, flute and piano in this natural sounding piece which portrays a sense of unease and sadness. It is emotional, touching and moving. A beautiful and touching piece, slow and spacious, with a natural feel. The piano provides a simple accompaniment to an emotive melodic cello line. Sombre, sad, moving, emotional, reflective, sentimental, touching, poignant, nostalgic, simple, beautiful, mournful. Based around finger picking on acoustic guitars and a piano melody, this mainly positive piece creates a feeling of well-being, tempered only by a switch to a minor chord in the second section - this brings a touch of nostalgia and regret to the music. Reversed electric and acoustic pianos create a dreamy atmosphere, whilst a glockenspiel and flute harmony add a childlike innocence. Loving, Uplifting, Pretty, Natural, Innocence, Dreamy, Childlike & Mellow. An elegant piece driven by an energetic and repetitive piano sequence and underpinned with a fingerpicked guitar pattern. The melody switches be-tween cello and flute with a subtle violin pedal adding a magical touch to the already haunting atmosphere. Serious, determined, powerful, beautiful, searching. A comforting piece with a sense of natural beauty portraying a notion of well-being. The piano melody gradually develops over a simple three chord strummed guitar pattern. Sentimental, nostalgic, blissful, summertime, simple, down to earth, folky, honest, beauty, countryside, pastoral, natural, caring, positive, contented, wistful. A sparse, ambient and atmospheric duet featuring a simple piano motif and cello melody. A low cello bass note halfway through provides an ex-tra sense of chilling tension. Spacious, sad, foreboding, ominous, tense, emotional, moving, mournful, lonely.